Battlefield 3 is one of the best games on the market today. People everywhere are playing it, with no limits on age, nationality or any of those other factors that usually play a part in video game sales. Just as many people are looking for some quick and easy tips on how to improve Battlefield 3 gameplay. Most of these may seem simple at first glance, but it is these easy game strategies that are so often ignored or misinterpreted. So here you are, a comprehensive list of some tips and tricks that will definitely improve your Battlefield 3 game. One of the easiest ways to improve all around gameplay is to really get to know your kit. A ‘kit’ is basically a class that you choose. While this is something that may be said often for a wide variety of games currently on the market, it’s because it is such an important feature of gameplay. Without truly understanding your kit, gameplay won’t be as smooth. Every kit has its specialty. Some weapons are not for everyone. A specific role is necessary in gameplay. If you are an engineer and then go heading off on run and gun down everything in my path rampage, you either haven’t picked the kit most suited to your gaming style or you haven’t gotten around to looking at stats and equipment and figuring out what is best for you. Med kits are always important. A well placed med kit can mean the difference from a fun, successful mission and an early death because you weren’t glancing down at your health as often as you thought you were. If you are part of an ongoing assault throw down a medical kit every so often, especially in situations when you are taking heavy fire and are trying to keep cover. When you or another player uses the medical kit it will disappear and you will be free to throw another down. Medical kits are available in an endless supply, so don ‘t worry about how many you are using, there will always be another one. Battlefield 3 is a multiplayer cooperative game and therefore should be treated as such. While going in gun’s blazing may be fun, it simply isn’t how the game was intended to played. But that isn’t the only reason why you should take more care to work as a team. Assaults run more smoothly when a wider variety of classes are playing and working together. This brings us to the next point. Scores go up when you help your squad, so if you are looking for an easy way to boost your points, simply try playing as a functional co-op team. There are many times when you will need a quick getaway when the enemy is pressing down on you. Sometimes getaways are easy – a friend is sniping from a rooftop, picking off nearby enemies for you or that tank finally rolls in and destroys everything in its path. One way to gain those few extra seconds is to shine your flashlight, provided that you are in a darkened space. Enemies will be blinded for a few moments, giving you just enough time to duck for cover and sprint back to the rest of your squad. Another thing to keep in mind when looking for a quick getaway are the buildings in your area. Sometimes running inside where you can’t be as easily spotted sounds like a great idea and it is. Other times you have to be extra careful with this approach. A tank can easily take out half a building, collapsing walls and entire floors in no time at all. Running in and out another entrance is a good plan of action. Also, try to remember where alleys and similar structures are placed in the town as these can be great alternatives to hiding inside buildings. While Battlefield 3 is often grouped with Call of Duty, the two games are very different apart from them both being first person shooters of a tactical, military nature. Call of Duty players normally have a much shorter lifespan then Battlefield 3 players. Firefights are rampant, resulting in frequent player deaths. In Battlefield 3, however, many times players have to sprint towards the action and snipers have to sneak to a good vantage point. This is also why vehicles are provided in game, many people needing to move from one location on the map to somewhere else that isn’t close enough to make running the best option. So keep this in mind while playing, especially if you tend to jump from one game to the other. One of the hottest new games available today is Battlefield 3, the latest installment in a long line of Battlefield games. 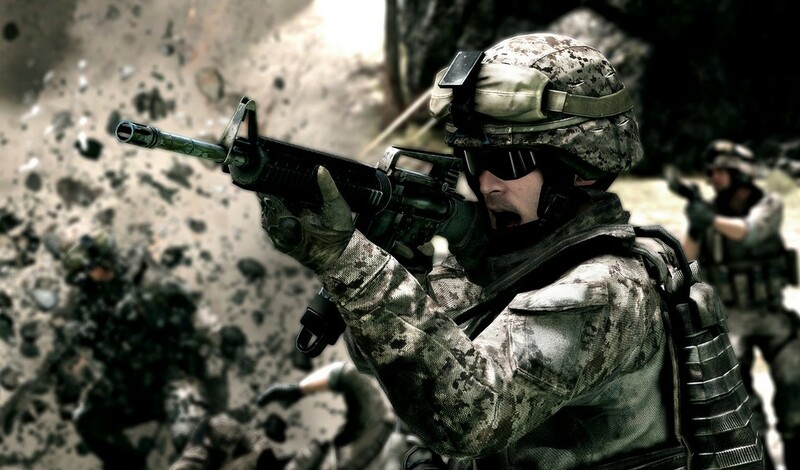 While similar to its predecessors in some areas, Battlefield 3 has also changed in others. Sometimes slight differences take the longest to get used to. These easy tips intend to make Battlefield 3 an even better gaming experience than before. Try just a few or all next time you start up the game.